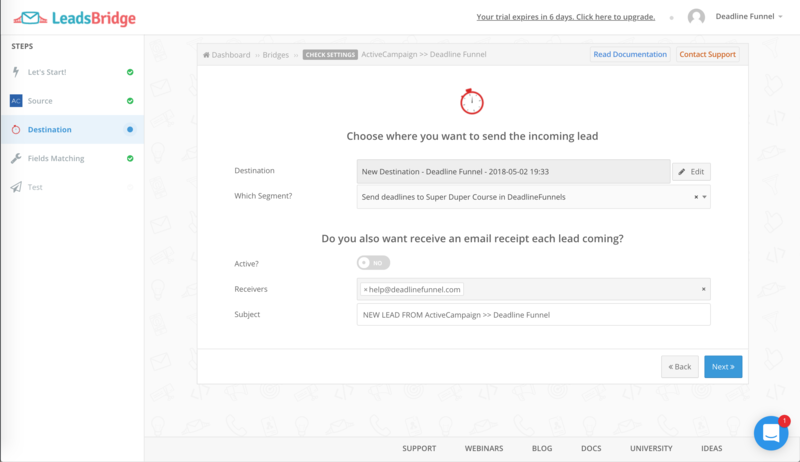 With LeadsBridge + Deadline Funnel, you can connect Deadline Funnel to more services and workflows than ever before. 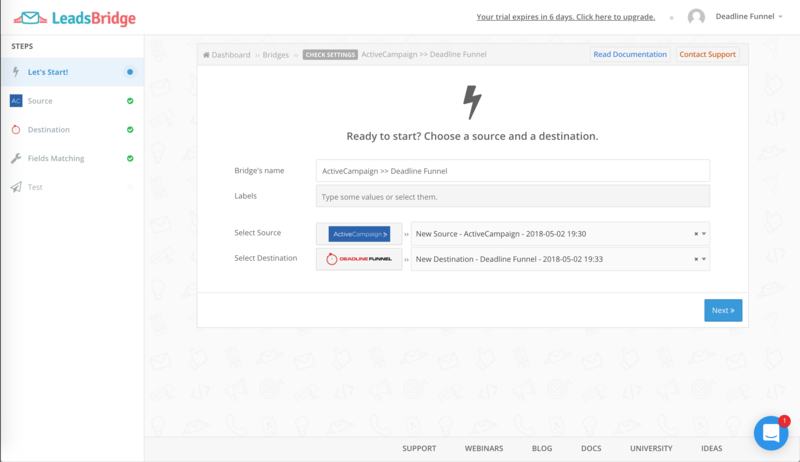 Note: Make sure you are logged into your Deadline Funnel account before you begin. 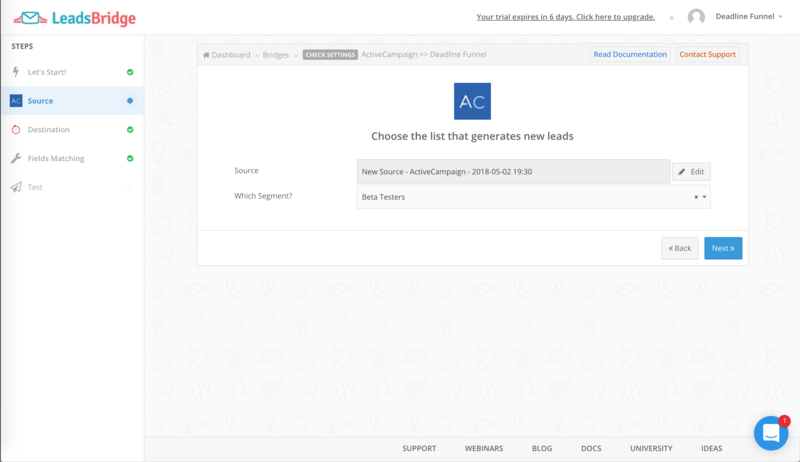 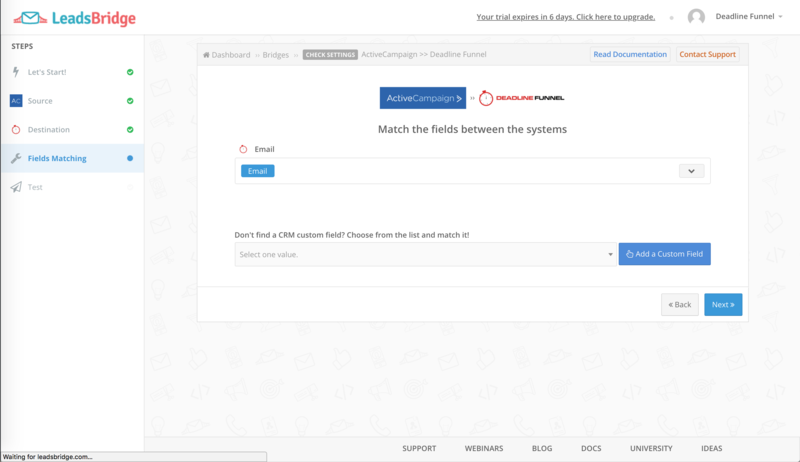 Create a new bridge, and select your source (where the leads will be coming from - for example, ActiveCampaign), and then select Deadline Funnel as the destination.